The 2019 Academy application period is now closed. 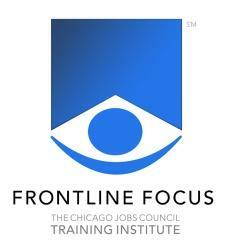 What is the Chicagoland Workforce Leadership Academy? 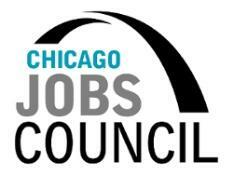 The Chicago Jobs Council, the Chicagoland Workforce Funder Alliance, the Aspen Institute, and local stakeholders are partnering to create a Workforce Leadership Academy for workforce development professionals in the Chicagoland region. The purpose of this Academy is to develop a network of workforce development leaders who are not only able to lead their own programs or organizations, but who can also work collaboratively to build effective workforce systems. Workforce Leadership Academies create and support peer-learning communities of workforce leaders from nonprofit organizations, business associations, community colleges and universities, union-based training efforts, and public agencies. Participants in Academies work with leading practitioners from around the country, learn about practical planning tools, and have the rare opportunity to reflect on and develop effective workforce strategies to strengthen their local workforce system. Participants also engage in leadership development activities, including a 360-degree leadership assessment. Fellows are selected in a competitive application process and are typically senior-level managers with authority to implement program changes. Alumni of the Academies are part of the Aspen Institute Economic Opportunity Fellows Network. The Chicagoland Workforce Leadership Academy will run from January to December 2019 and includes an opening retreat, a series of 5 full-day workshops, and a closing retreat. What are the goals of the Academy? Support a 12-month fellowship among leaders from across the workforce development system including leaders from nonprofit organizations, business associations, community colleges and universities, union-based training efforts, and public (city and state) agencies. Provide a forum to work collaboratively to identify local and regional systems-based challenges and create shared solutions. Build the capacity of participating institutions to collaborate more deeply with employers and other strategic partners. Deepen skills and competencies of workforce practitioners to lead within their organizations and work collaboratively with stakeholders across the local workforce system. Located and working within the Chicagoland region. Workforce development representatives working within nonprofit organizations, business associations, community colleges and universities, union-based training efforts, and public agencies. In a position of leadership and decision-making authority related to workforce development efforts, with the capacity and ability to execute strategies on behalf of their organization. Engaged in or planning workforce development efforts in the Chicagoland region related to connecting workers to quality jobs and/or career pathways. Interested in designing and implementing effective strategies to strengthen their local workforce system. Committed to achieving equity across race, ethnicity, gender, gender identity, and sexual orientation. Eager for the opportunity to collaborate with others in their local workforce system, to reflect on their current work, to explore leadership practices, and to gain feedback from colleagues. Inclusivity and diversity are core values of the Chicagoland Workforce Leadership Academy. Applicants of color are strongly encouraged to apply. The cohort will be established to represent diversity of organization type, industry focus, as well as race, ethnicity, and gender. The program cost per participant is $500, which assists with meeting costs and program materials. Financial assistance is available on an as-needed basis to ensure that cost is not a barrier to participation. The Chicagoland Workforce Leadership Academy application deadline is Friday, October 19, 2018 at 5:00 p.m. CT. Applications will be reviewed and approved by members of the Chicagoland Workforce Leadership Academy Local Advisory Council. All applicants will be notified of the status of their applications by Friday, November 30, 2018. A PDF version of the application questions is available here. Owen Washburn, Vice President, Global Philanthropy, JPMorgan Chase & Co. The Chicagoland Workforce Leadership Academy is made possible through the support of the JPMorgan Chase Foundation, the Harry and Jeanette Weinberg Foundation, and the Chicagoland Workforce Funder Alliance.